What happens when we combine India’s ancient health drink with the King of Fruits? Golden Milk (Haldi Ka Doodh) has moved boisterously through western society hailing itself as the new super drink, and it’s by far the biggest trend in western holistic nutrition since yoga. 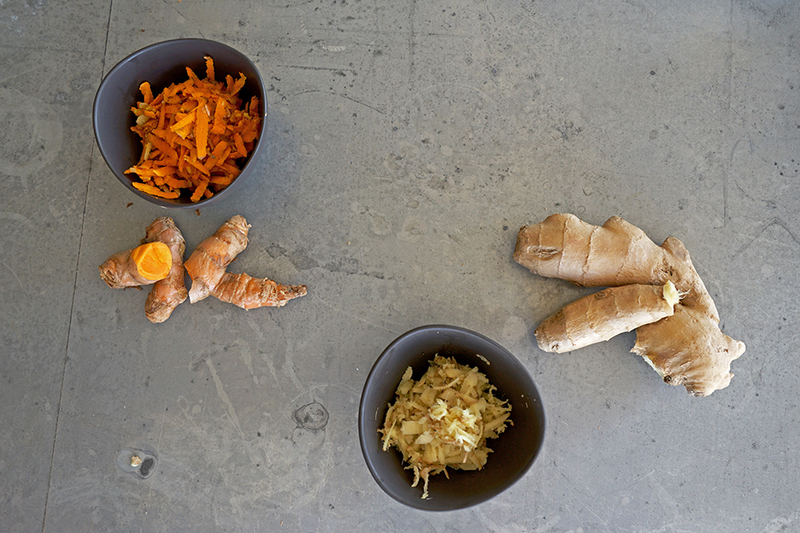 The recipe’s roots stretch back centuries, and its main ingredient, turmeric, is one of the most important roots in the world, dating back well over 4000 years. Prized for its tremendous healing capabilities, it’s one of the world’s most important spices. India is probably the place where this root is worshiped the most, and it is inside India’s ancient practice of Ayurveda where Golden Milk was born. Ayurvedic medicine is one of the world’s oldest heath and wellbeing systems, originating more than 3000 years ago. Its basic principles promote a balance of mind, body and spirit through the use of herbs and the healing properties found in various foods, mental stimulation, relaxation and exercise. A majority of Indians today practice Ayurvedic medicine regularly and it is well supported by many government and private institutes throughout the eastern hemisphere. It’s also getting noticed more and more in the mainstream west. 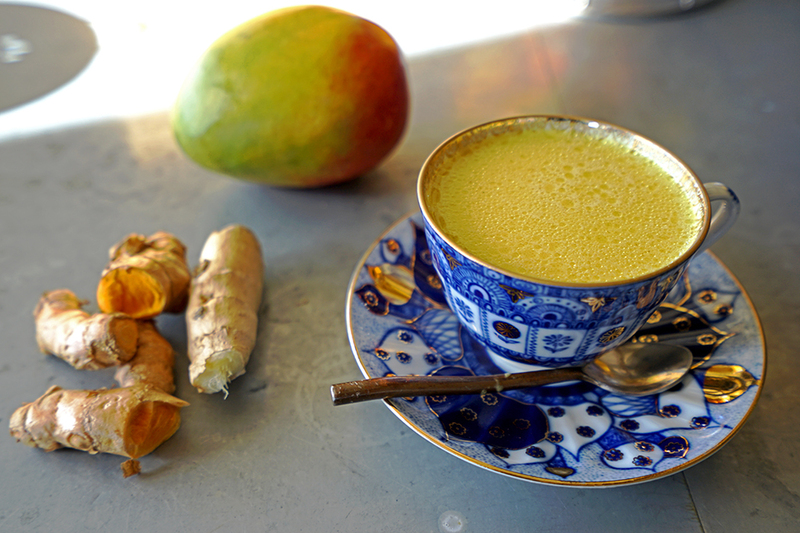 Golden Milk and its principal ingredient, turmeric, seem to be one of the most notable entry points onto this holistic path. Curcumin needs help in order to be metabolized and absorbed into the body. The black pepper in Golden Milk (or piperine, which is the active ingredient in black pepper) has shown to facilitate the absorption of the curcumin into the body. Since curcumin is also fat soluble it needs some healthy fat in order to absorb into the body. The recipe is totally holistic and captures clearly how Ayurvedic medicine works with each component aiding the other. 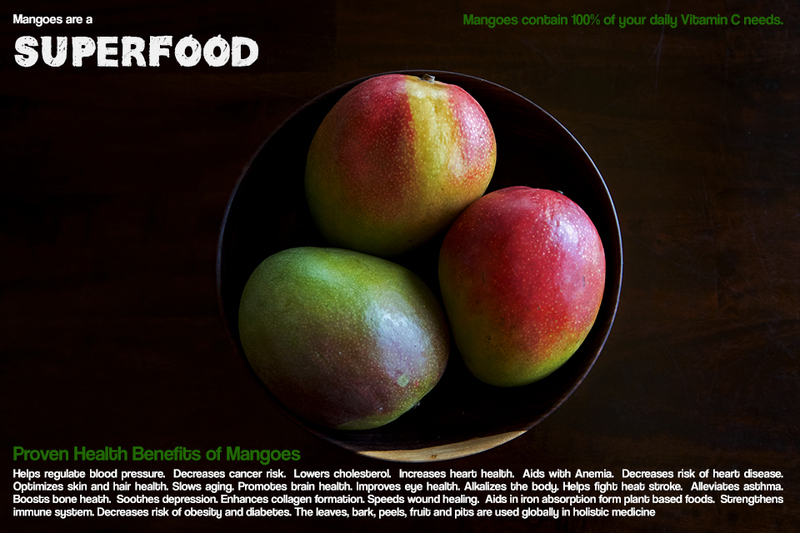 Adding mango expands the benefits to this already healthful elixir, most notably through the super dose of vitamin C found in this fruit, which aids in the body’s absorption of plant-based iron (thus allowing the coconut milk’s potent iron content to be easily engrossed into the body.) Additionally, the holistic synergy happening with the anti-inflammatory properties of the turmeric and the mango create an even more robust synergistic medicine when combined. 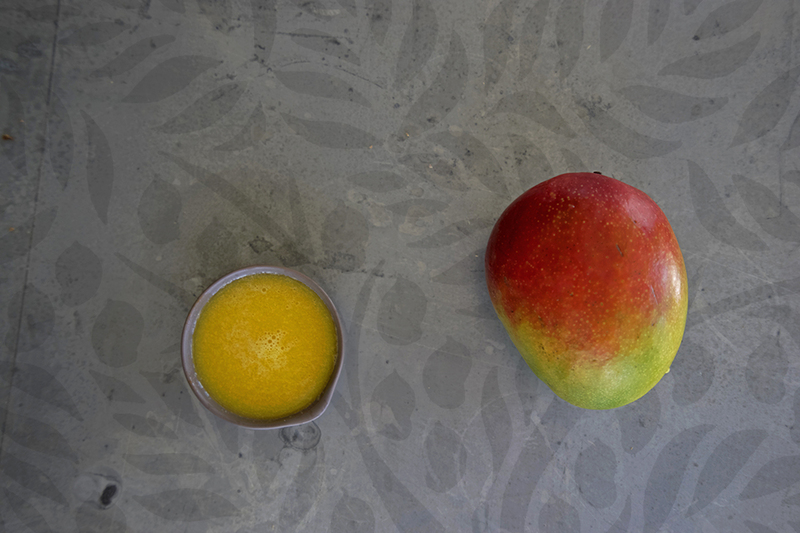 When mangoes are intermingled into the Golden Milk recipe you not only get a mega boost of all of the Milk’s original potency, but you get the entire list of the mango’s benefits too – creating a cup of SYNERGISTIC and HOLISTIC bliss. 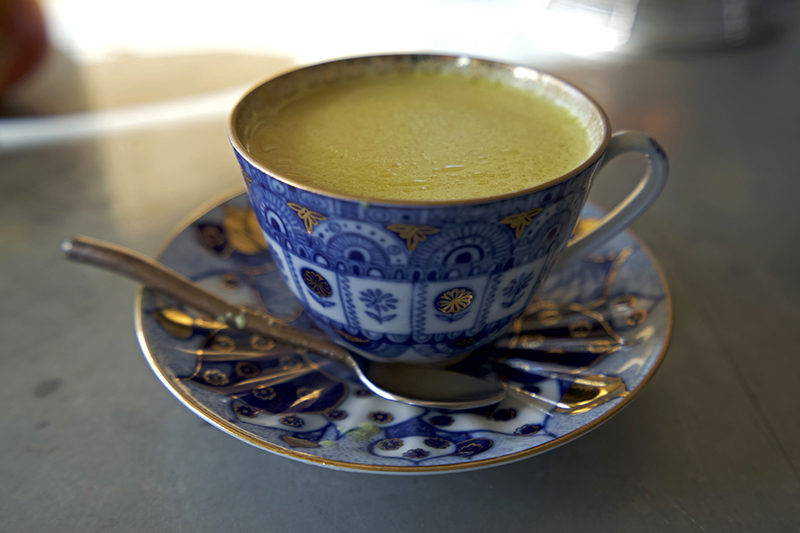 When Golden Milk was originally created it used to be more like a tea. Today, especially in the West, the concoction has morphed into more of a trendy coffee shop libation (I believe there might even be a Golden Milk Latte at your nearest hipster coffee crafter.) Either way, the heath benefits are too good to pass up. 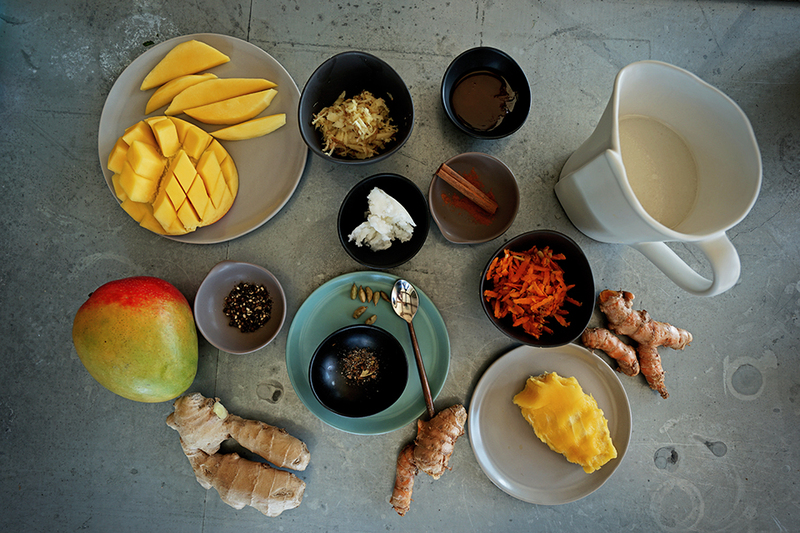 Whether you prefer to drink it in the morning or before bed, with or without coconut oil, cold, extra spicy or caffeinated, I have a recipe for it all; you can even make a paste that keeps in your fridge for weeks, giving you the utmost flexibility in your new – or revamped – Golden Milk ritual, whatever it may be. The ritual of making this milk and letting the spices steep on the stovetop while the scents loft through your home is remedy enough for me. 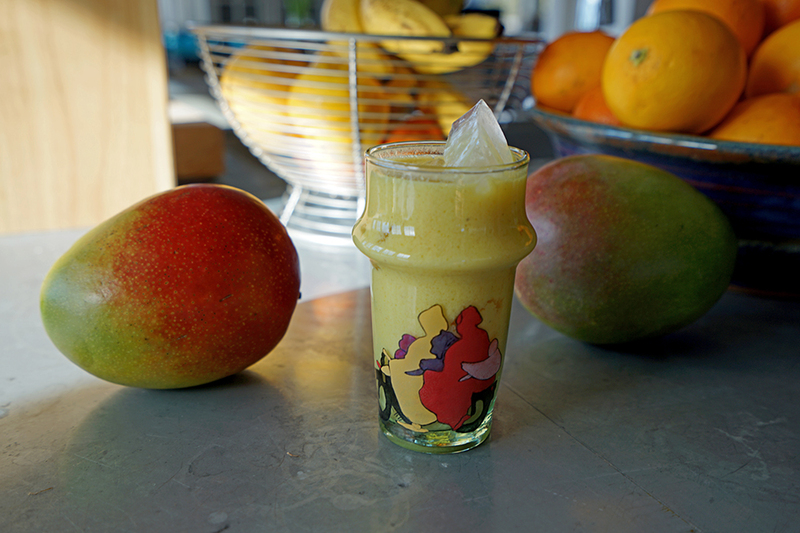 The mango adds just the perfect amount of extra sweetness that the piquant bite of the ginger and black pepper need. 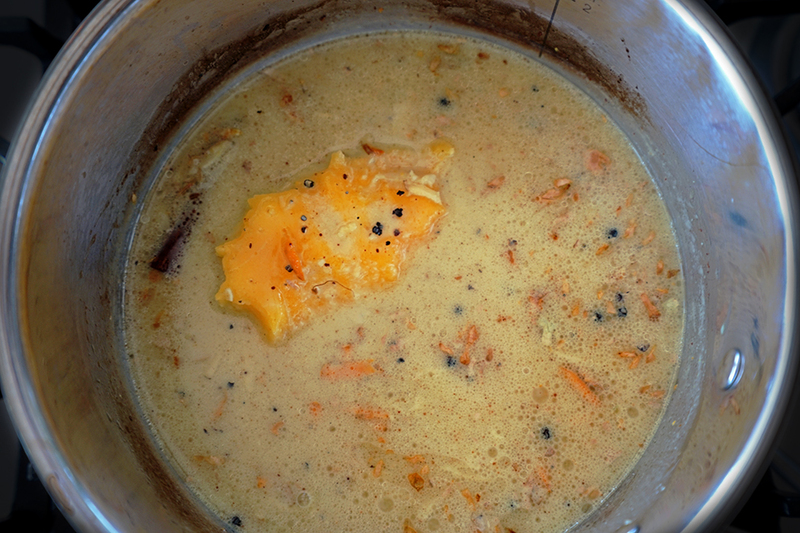 Whisk the milk, cinnamon, black pepper, cardamom, turmeric and ginger together in a large sauce pan. 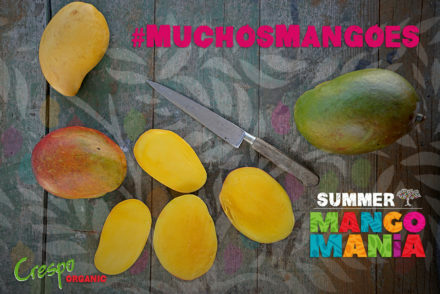 Add the mango pits and bring the mixture to a boil. Reduce the heat and simmer while the ingredients meld together, about 15 minutes. Strain the mixture through a fine mesh sieve. 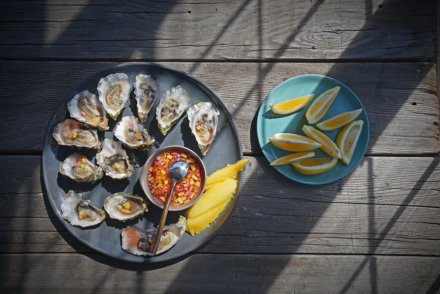 Mix in the coconut oil, honey and mango purée and serve immediately while still hot. Alternatively you can allow the mixture to cool completely and serve it over ice. You can store the Golden Milk in the refrigerator for about a week total, simply warm it up before serving. If you are going to store it in the refrigerator and drink it cold, it’s better to omit the coconut oil altogether. For a caffeinated version, toss in some black tea to your sauce pan while steeping the ingredients on the stove top! If you like smoothies and want to ingest the holistic properties of Golden Milk this one is for you. Quick, easy and quite tasty! Combine all ingredients in a blender and blend until totally smooth. Making a paste for your golden milk is the perfect way to incorporate golden milk into a busy schedule. There is nothing like making it from scratch in terms of the wonderful potent scents that will loft through your kitchen, but it’s incredibly handy to have around on the days you want it and need to hustle. It’s also incredible to have around for cooking in general, tossing into your soups, stews, curries and even smoothies. Toast the spices (black pepper, cinnamon, cardamom, salt) by tossing together in dry pan over high heat for just about 20 seconds, being careful not to burn. Place the toasted spiced and the remaining ingredients in a blender and pulse on chop until a chunky paste is created, adding a little water if needed. Alternatively crush together in a large mortar with a pestle. Store the paste in your refrigerator for up to a few weeks, it lasts longer but fresh is better! To warm the Golden Milk, whisk together 1 tablespoon of paste with 8-10 ounces of hot milk of choice. Strain into a mug before serving. The paste is excellent in all kinds of kitchen endeavors. 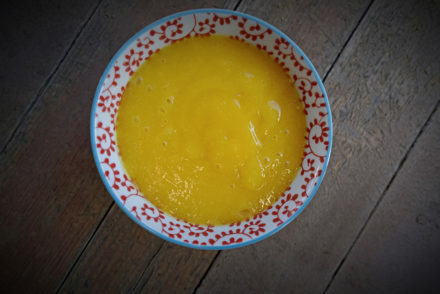 Toss some in with your lentils while they cook or use it on a chicken to make a Mango Golden Milk Roasted Chicken!